Pinot Gris comes in many different styles. At J,it is crisp, with bright fruit expression, and a touch of minerality. As always, it begins in the vineyard. The myriad of Russian River Valley estate vineyards provide fruit that comes from well-drained soils rich in nutrients. J’s viticulturist works with each vineyard site to ensure that the soil type, vine canopy selection, natural pest management, and timing for the harvest pick are all aligned with our Winemaker’s vision for handcrafting Pinot Gris that is perfectly balanced with acidity and fruit. Not a small accomplishment given the fruit’s complexity. Similar to their Chardonnays, they whole-cluster press the grapes utilizing our Coquard press minimizing harsh components from the grape skins mingling with the juice. The wine is fermented and cooled slowly in stainless steel tanks at 55 degrees to preserve the fruit’s integrity. No malolactic fermentation occurs during this process. After fermentation, aging in the stainless steel tanks begins for several months prior to bottling. Whole grape clusters were hand-harvested, and then pressed gently to minimize the extraction of harsh components from the skins and seeds. The wine from each appellation was broken into multiple lots and exposed to a variety of yeasts. The wine was fermented and cooled slowly in stainless steel tanks at 55 degrees to preserve the freshness of the fruit. There was no malolactic fermentation in this process. After fermentation the lots were aged separately in stainless steel tanks. Once the wine lots naturally settled and clarified, they were blended together. This allowed the development of a range of aromatic and flavor components that ultimately melded to create a layered, complex wine. a young vine Zin with distinctive old vine characters. challenge. However, our winemaking and vineyard team really came through, keeping a cool head and bringing in fruit that achieved full ripeness, flavor and balance. More Like a Bordeaux than a Rhone, here is a lovely dinner wine to enjoy with game, beef, pork and pasta. on rolling hills to steep hillsides. Here’s a red duo you’ll like. Both different; both delightful. soils on the benches and hillsides of the celebrated Alexander Valley. season was cool to warm and without incident. Picking commenced toward the end of September, and all of the cabernet was harvested by November 3rd. and over the next several years. Good Value and What a Surprise. Bravo California. You are getting it right. We can think of no better accompaniment to a Thanksgiving feast. Lava Cap’s Granite Hill vineyard has been part of our estate production since 1995. It consistently produces some of the most highly decorated Petite Sirahs in California. 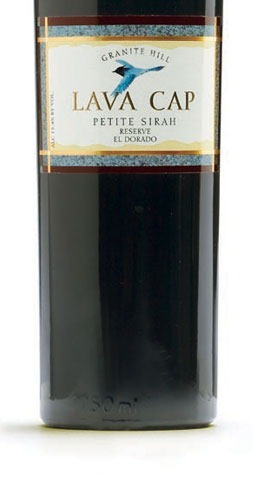 The wine has the iron-red soil character, black mineral depth and green conifer edge of the Sierra Foothills. Rich scents of berry, caramel and spice mingle with the fresh blackberry flavor. The tannins are sleek and juicy, wrapped in a plush blanket of French Oak. This wine is a perfect partner with grilled New York steak, braised short ribs, pepper-garlic crusted prime rib, cheese, and game dishes. This deeply pigmented wine contains sumptuous tannins which balance the plump blackberry and caramel sweetness providing the wine with a luscious, festive feel. it was grown. They follow time-honored methods, bringing in whole clusters of carefully selected Russian River Valley chardonnay during the coldest part of the morning, pressing gently one batch at a time, and fermenting slowly in my favorite French oak barrels. balance, and what is called “mouthfeel.”Russian River Valley chardonnay expresses itself differently depending on location, site specifics, and the nature of the vines themselves.The winemaker seeks out the “middle reach” region of the valley, which runs just southwest of Healdsburg to the Wohler Bridge in Forestville. This area tends to be slightly warmer than the very cool south-western sub regions. Then he focuses specific vineyards that show superior vine balance thanks to well-drained, inherently low vigor soils. Finally,I choosing a select variety of chardonnay “clones” to enhance complexity, while keeping to the food friendly flavor profile that has always been a hallmark of Davis Bynum: a little lighter, without being lean; a little crisper, without being tart; a little more aromatic, without being distracting; and balanced with less oak and alcohol than you often find in California chardonnays. Wine Maker Greg Morthole Notes: Russian River Valley chardonnay expresses itself differently depending on location, site specifics, and the nature of the vines themselves. I seek out the "middle reach" region of the valley, which runs just southwest of Healdsburg to the Wohler Bridge in Forestville. This area tends to be slightly warmer than the very cool south-western sub regions. Then I focus on specific vineyards that show superior vine balance thanks to well-drained, inherently low vigor soils. Finally, I choose a select variety of chardonnay "clones" to enhance complexity, while keeping to the food friendly flavor profile that has always been a hallmark of Davis Bynum: a little lighter, without being lean; a little crisper, without being tart; a little more aromatic, without being distracting; and balanced with less oak and alcohol than you often find in California chardonnays. Copyright 2012 By Punch In International. All Rights Reserved. 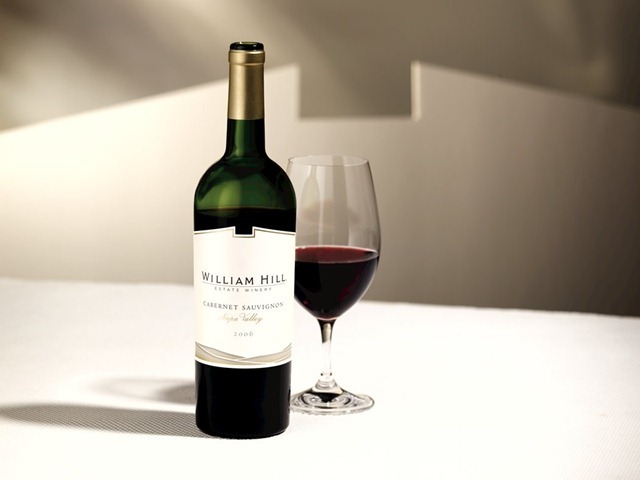 William Hill® Estate 2008 Napa Valley Cabernet Sauvignon Is A Radiant Example of Cab Quality. 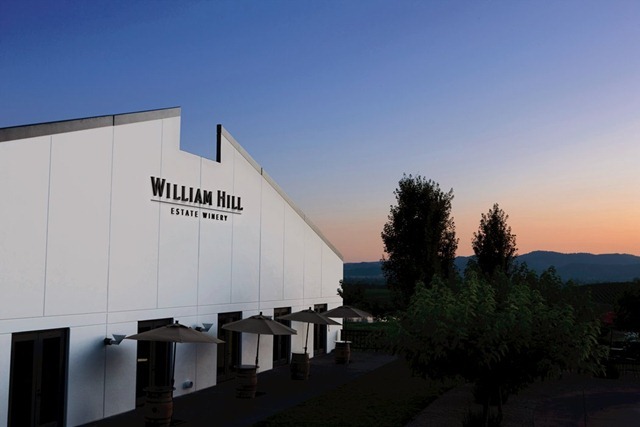 Nestled near the Silverado Trail, just minutes from some of the world’s most renowned vineyards, William Hill Estate crafts luxury Chardonnay and red Bordeaux varietals with rich, expressive flavors. Winemaker Ralf Holdenried makes William Hill’s extraordinary collection of elegant wines to showcase the other side of Napa – the side that is off the beaten path. The 2008 Napa Valley Cabernet Sauvignon offers aromas and flavors of bright red fruit, with hints of blueberry and red cherry. Undertones of brown spice and sweet vanilla create a plush mouthfeel of soft tannins that evolve into an extraordinary finish. We were amazed by the extraordinary balance, depth and elegance of this wine. While it is delicious now, lay it away for a year or two and it will be worth the wait. William His is quickly becoming one of our favorites in the affordable California arena. And they get the fruit right. It’s there, but it doesn’t scream at you. The Napa Valley AVA is renowned for its long growing season, marked by warm, sunny days and cool evenings. These growing conditions are ideal for allowing grapes to ripen slowly and evenly. The 2008 growing season began dry and cool, leading up to an early frost that affected some vineyards during budbreak, reducing yields. The weather remained fairly mild through the summer, though some heat spikes occurred before harvest. Ultimately, the weather settled, allowing us to harvest each varietal at its optimal ripeness. Because yields were quite low compared to previous vintages, the harvest produced exceptional quality fruit, with great complexity and concentration. The grapes for this wine were hand-picked from the premier vineyards in the Napa Valley. The grapes were cold soaked for three to five days to enhance color and flavor. After they were destemmed and crushed, the grapes were fermented in upright, closed top fermentors at a maximum temperature of 85°F. The wine remained in contact with the skins for approximately 18 days before undergoing malolactic fermentation to soften the mouthfeel.